Sweden is said to be the safest place in the world to give birth with the state’s ample support for women and children. Sweden has always been reputed for being a family-oriented country where the government and society give tremendous effort to provide the best service to all its citizens and resident expats. One great pride of this country is the amount of care expectant mothers and their soon-to-be babies receive. From pre-natal check-ups, excellent medical care to the generous amount of leaves, Sweden is undoubtedly one of the best places in the world where a woman can give birth. Barnmorskors (midwives) are the primary providers of that pre-natal and post-natal care in Sweden. The only time that an expectant mother will see a doctor is if there’s any complication during the pregnancy or if there is a need for anaesthesia in childbirth. Another factor that expats will have to adjust with is that in Sweden, pregnant women are not required to undergo numerous tests or visits to a midwife. Maternity care mostly consists of a few blood tests to make sure the iron levels are within normal range. Midwife based care is not the norm in many countries, but it is considered as the best in Sweden. This nation is known for having the lowest infant and maternal mortality rate in the world and has been relying on the excellent and professional service of midwives since the 18th century. The choice of private prenatal care is not available in Sweden. 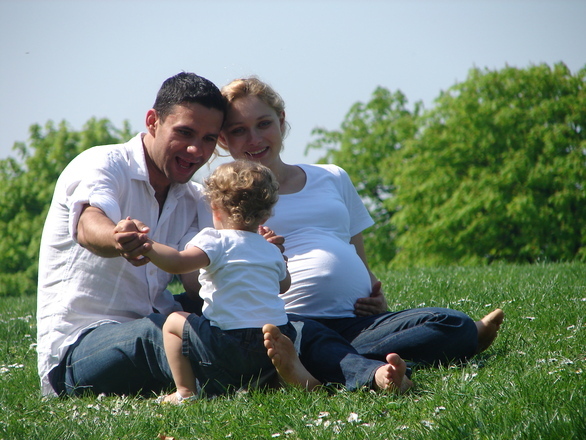 Antenatal care is also free, although hospitals may have a daily charge of approximately SEK100.00 (about USD$13.00). A Swedish residence permit is essential when giving birth in Sweden to avoid getting huge bills. Giving birth in Sweden is expensive for non-tax payers, individuals without EHIC and foreigners whose country has no reciprocal agreements with Sweden. Giving birth costs approximately SEK65,000.00 (USD$9,000.00). Pregnant expats who are working in risky environments such as constructions sites or whose job description requires heavy lifting are entitled to graviditetspenning or extra pregnancy benefits. Aside from the parental leave after giving birth, an expectant mother can also take up to two months of paid leave during her pregnancy and an additional 11 days before the baby is due. Around 80% of the expatriate’s daily pay during her time-off at work will be paid by the Försäkringskassan (Sweden Social Insurance Agency). Sweden is considered to have the highest numbers of föräldraledighet (parental leave) systems by international standard where parents can take 480 days of paid time-off after the child was born. Since the country strives for gender equality, each parent is entitled to a total of 240 days each which can be utilised until the child turns eight. 420 out of the 480 days are paid at a rate of 80% of the expatriate’s regular pay while the rest of the 90 days are at a flat rate. Both of the parents are also allowed by law to reduce their total working hours by up to 25% until their child reaches eight years old. Expats who are not eligible for the state healthcare are strongly recommended to secure private health insurance before moving to Sweden. When scouting for international health insurance in Sweden, it is best to add supplemental coverage for maternity care. Once the baby is born, the hospital certificate (moderskapsintyg) will be issued, and the registration process will vary per embassy or consulate of the foreign parents. Expats should check with his/her respective embassy for registration procedures and fees. A child born to non-Swedish parents cannot acquire Swedish nationality, although foreigners can apply for Swedish citizenship through the naturalisation process.